Kids generally LOVE baby animals and kittens are often a favourite. Help kids to remember the baby names of animals and create a colouring book with the most common animals and their young available for your kids to colour. Learning the names of baby animals isn't always easy. 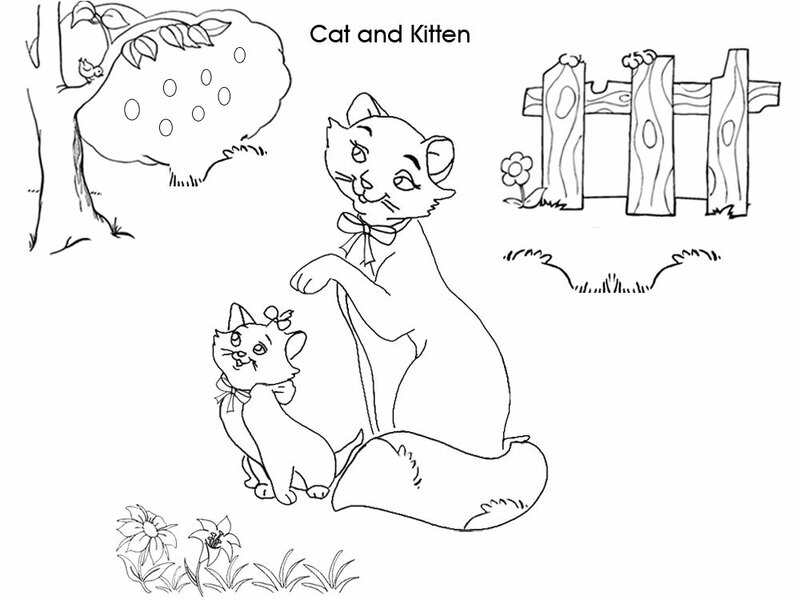 But this cute colouring page will assure your child won't forget anytime soon. Print and colour the cat and kitten in this picture then stick it into a book for them to look back on.